We decided to celebrate our book all summer with a series of giveaways! We love to share our crafts and kits. 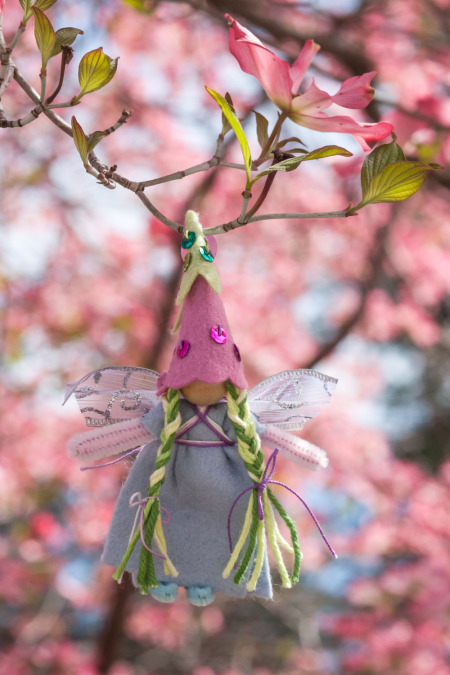 This week is a blossom fairy with Waldorf inpiration. This girl has a flower-hat with long green braids. She is sweet and calming. She hopes to join your home. We are happy to send her as a gift to a special child in your life. We contact the winner and you give us a shipping address. We are open to entries from the USA and Canada. If you are international, email me and we can talk about shipping costs (I can ship internationally if you can help cover the difference). Good luck! We would love to send her to your home soon! Thank you for sharing the Forest with your friends!